Paperstone is one of the few architectural solid surface materials certified to FSC standards by the Smartwood program of the Rainforest Alliance. Accordingly Paperstone plays a role in enabling a project to acquire LEED points toward certification. IceStone is made from three core ingredients: 100% recycled glass, portland cement, and non-toxic pigments. IceStone surfaces can contribute points to LEED projects for recycled content, low-emissions, social responsibility, sourcing and manufacturing locations. Are you looking for an environment-friendly plaster for beautifying your home? Then you can easily choose these purely natural American Clay earth plasters. As these plasters are made in USA, you can be assured of its overall quality and durability. QuartzStone is a beautiful commercial grade surface that compliments any living space. This new versatile non-porous surface is resistant to flexing, abrasion and acids, and requires minimal maintenance. It is also both NSF 51 and GreenGuard Gold Certified. Since established in 1998, Coverings ETC has been supplying innovative and eco-friendly stones and mosaics which are really of good quality. The overall design of these mosaics and stones are classic, traditional and also contemporary, which the customers of present times really look for. 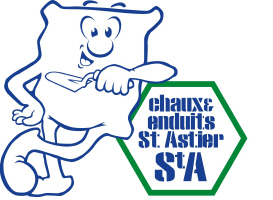 For more than 150 years, St. Astier natural hydraulic lime has provided unique environment-friendly construction materials. Osmo comes with eco-friendly wood finishes which are really useful for protecting or refining a wooden surface. These wood finishes bring out the natural beauty of the unfinished woods. As the people of the entire world are getting more and more conscious regarding the environment. Bamboo Hardwoods is the perfect choice for stylish and eco-friendly flooring. These bamboo flooring panels are aesthetically pleasing and provide many ecological benefits compared to using wood. The Original Bee’s Wax polish offers the most effective and environment-friendly finish for all types of furniture. This purely natural polish is made in America, so you can be assured of the extra-ordinary quality and effectiveness of this polish. Since 1974, bee’s wax polish is regarded as the premium furniture polishes in America. It is also named as the ‘best furniture polish’ by HouseBeautiful. Alpen High Performance Products is an American window and door manufacturer that designs and builds some of the most energy efficient window and door products in the world. 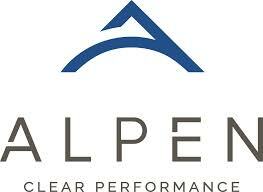 Alpen’s core product offering draws on a 30-year history of industry leadership in advanced, high performance window and glass manufacturing and innovation.